Heavy smog covering Shanghai Tuesday shut down school events, restricted construction and kept the elderly indoors with the highest air pollution levels in nearly a year. Reuters reported authorities issued a yellow alert — which is the third-worst on the environmental scale — once the air quality index reached hazardous territory. As of 6 a.m. local time, it was about 315. Good air quality index numbers are below 50. The smog was set to clear later in the day as winds moved in and a cold front dissipated, but the overall pollution problem in China didn't seem to be going away. Beijing issued its first red alert — the most urgent warning on the scale — last week, limiting traffic and urging schools to suspend classes. Earlier this month in Shanghai, the Pudong International Airport had to cancel about 100 flights because pilots couldn't see the runway, the Shanghai Daily reported. "The heavy pollution Shanghai faces highlights that China still needs to make more investment into environmental protection," Dong Liansai, a climate and energy campaigner at Greenpeace East Asia, told Bloomberg. "Measures such as asking factories to reduce production will certainly have some impact on the economy, but it’s very worthwhile to protect public health." Children and seniors were advised to stay in their homes in Shanghai Tuesday, as smog can exacerbate heart conditions and hurt the respiratory system. Public schools were instructed to cancel outdoor activities. 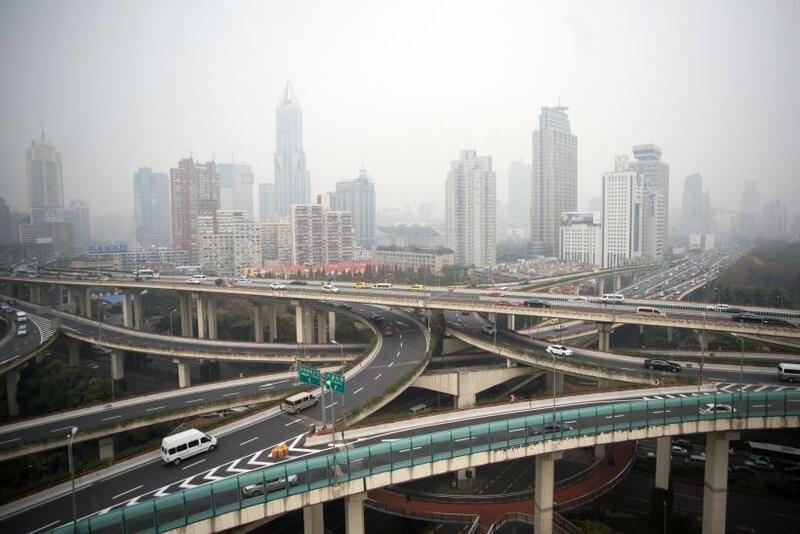 Construction was suspended around the city so as not to kick up more dust, while some factories were asked to pause their work, according to the Shanghai Daily.